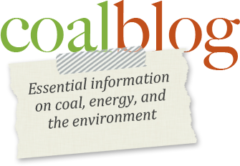 ACC Members can now access selected presentations (in pdf format) from the 2007 Spring Coal Forum in Memphis. Those interested in seeing these presentations can access them through the ACC Presentations page of this website. Remember, you must be an ACC member and logged into the site to have access to the presentations. If you haven’t registered, you can do so here. If you’re not a member, head over to the membership information section and sign up!